This is not a drill. The first new original A Perfect Circle song in 14 years (not counting “By and Down”) is upon us. Upon first listen I wasn’t sure what to make of the track. 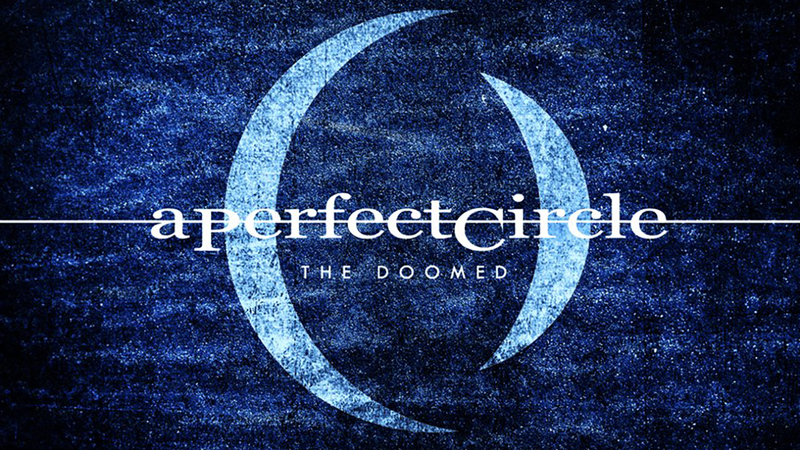 It ‘s structured oddly (like a lot of the newer APC songs heard on their live tour), and it’s rockier than expected, but what did stand out was Maynard James Keenan’s vocals, which sounded better than ever, and the moody atmosphere and bassline during the verses. However, after I listened to it with the lyrics on hand the song took on a whole other meaning. The song perfectly describes our world and how many people feel about it, referencing the beatitudes spoken by Jesus during the Sermon on the Mount, but reversing it so that the “blessed” things are all the sins and evils of the world. Then the song calms down and we hear a xylophone and piano combination, creating an almost snowy, wintry feel, as Maynard asks about all the people who are good and virtuous, eventually declaring them “The Doomed” of the song’s title. This speaks true for a lot of us who feel that evil often succeeds in this world and those who do the right thing get shitted on. Behold the new Christ, behold the same old horde. Gather at the altering, new beginning, new word. And the word was death. And the word was without light. Blessed are the fornicates – may we bend down to be their whores. Blessed are the rich – may we labor, deliver them more. Blessed are the envious – bless the slothful, the wrathful, the vain. Blessed are the gluttonous – may they feast us to famine and war. What of the pious? The pure of heart? The peaceful? What of the meek? The mourning, and the merciful? Gather at the altering. New beginning, new word. What of the meek? The mourning, and the merciful. What of the righteous? What of the charitable? What of the truthful? The dutiful? The decent? For the word is now death. And the word is now without light. The new beatitude – “Fuuuuuuuuck!